Enjoy the individual attention and customized instruction of private lessons at Maple Bay Yacht Club. Whether you’re looking to learn from scratch, refresh your basic sailing skills or learn more advanced techniques, private lessons provide the opportunity to learn what you want when you want. Please contact the office for more information. Provides an active start focused on fun, safe activities around the water to teach children to enjoy being in, on and around the water. This course offers a safe environment to introduce children to the sport of sailing and encourages them to become involved in daily physical activity all year round. Learn to Sail Fast! Learn to apply the fundamental skills in any type of boat. Have completed CANSail 2 or 3 (or the equivalent White Sail 3, or have some Bronze 4 or 5) and want to continue sailing. CANSail 3 & 4 is focused on advancing sailors skills up to racing standards and developing the basic skills into an advanced understanding of sailing. These courses take 2 weeks to complete and are offered in 2 week intervals for laser and 420 classes. 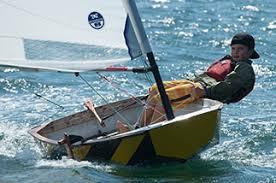 Opti 3/4 courses are one week intensives where the athletes will learn advanced skills.